1. 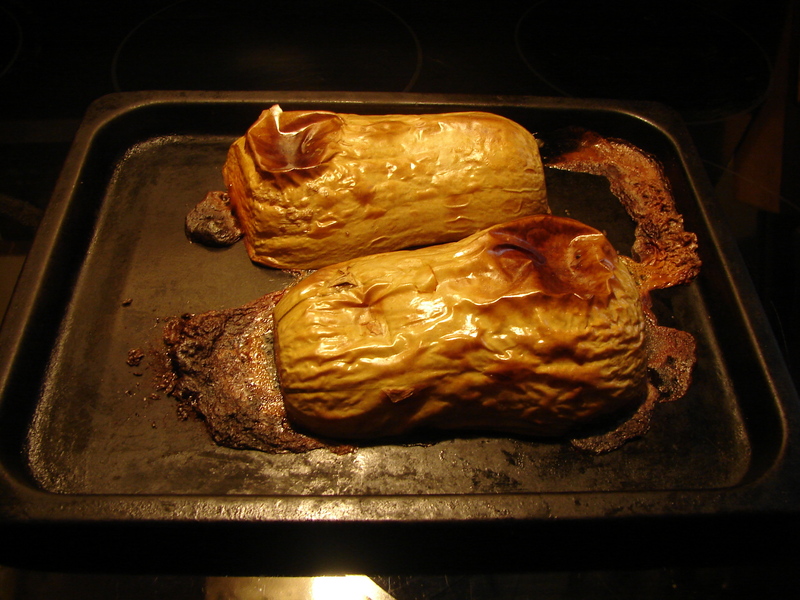 Roast your squash. Preheat oven to 450. 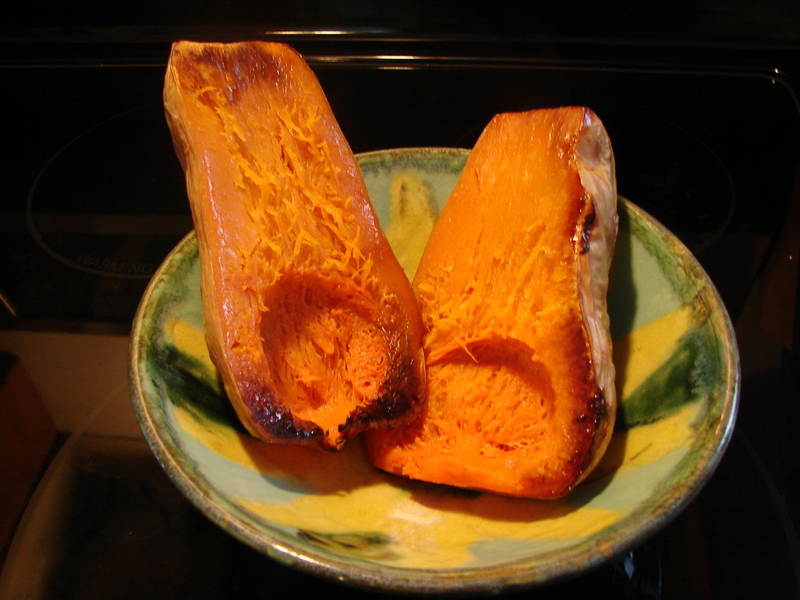 Cut the squash in half, lay it cut-side-down on the baking sheet and roast until it’s brown on top and falling apart inside. Time will vary depending on the size, but it will probably take 30 or 40 minutes. 2. Warm the olive oil, add the shallots, when they start to brown add the garlic. Add the lentils, and stir to coat in oil. 3. Add all the spices. These are all easy to burn, which will turn them bitter, so work quickly, and stir often. 4. allow these to warm together for a minute or two. 6. 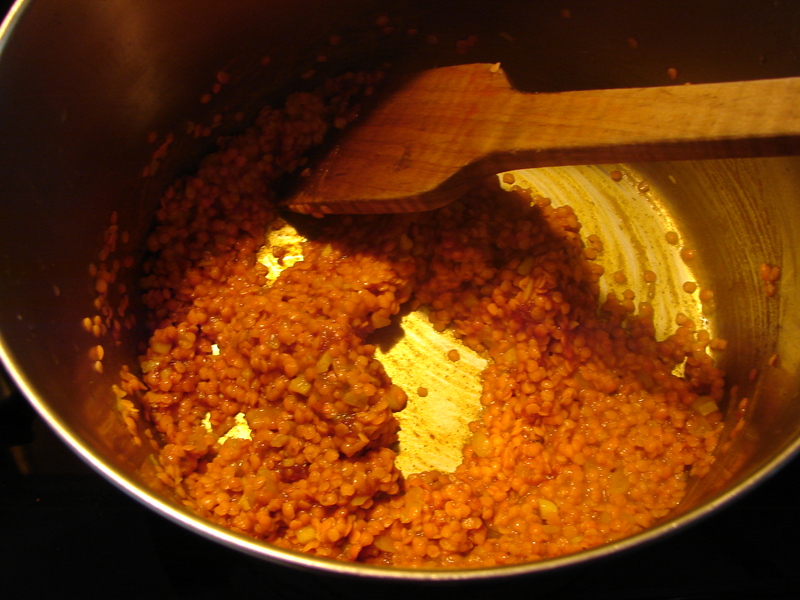 Bring to a boil, and then reduce heat and simmer until the lentils are soft – 20 – 30 minutes. 7. Add salt & pepper to taste, a dollop of butter and a dash of balsamic. 8. At this point you can blend all, some, or none of the soup, depending on how smooth you want it to be. 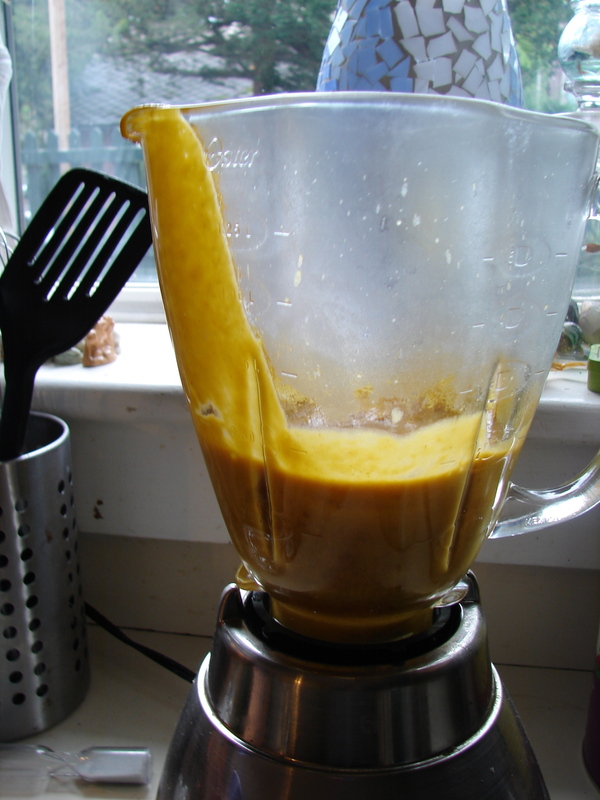 I like to blend half, so it’s smooth but still has some texture. Add liquid till it’s the consistency you desire, and warm it through again. 9. It’s nice served with a dash of pesto or sofrito, if you have them. Or topped with chopped basil or cilantro. Whatever you like! NOTE: If you don’t happen to have all the spices listed, the soup can be made with a combination of just a few – whatever you have and like! 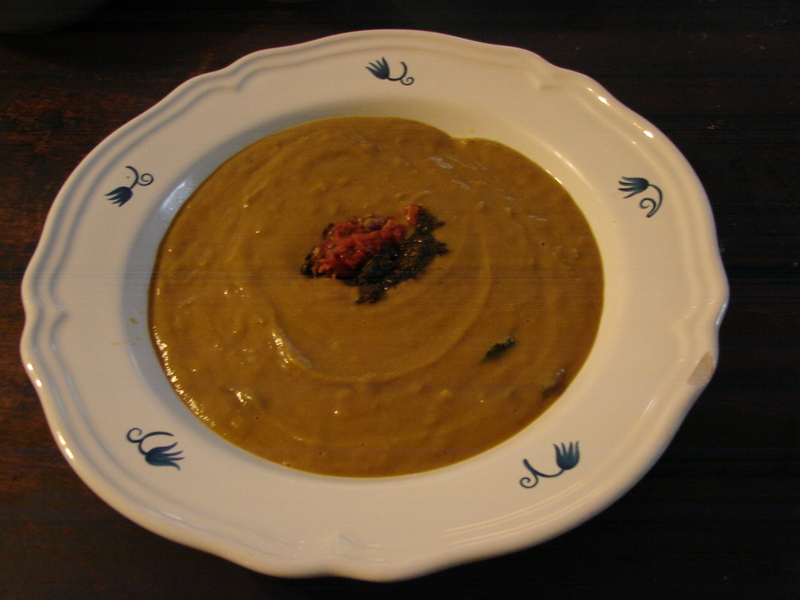 This entry was posted in lentil, recipe, soup and tagged berbere, butternut squash, mulatu astatke, recipe, red lentil, soup by Claire. Bookmark the permalink. That sounds very good, Neville! I’ll have to try it.